The state’s top prosecutor, who has argued against LGBT rights in several cases, accepted the Briggles’ offer of a sit-down, family dinner. 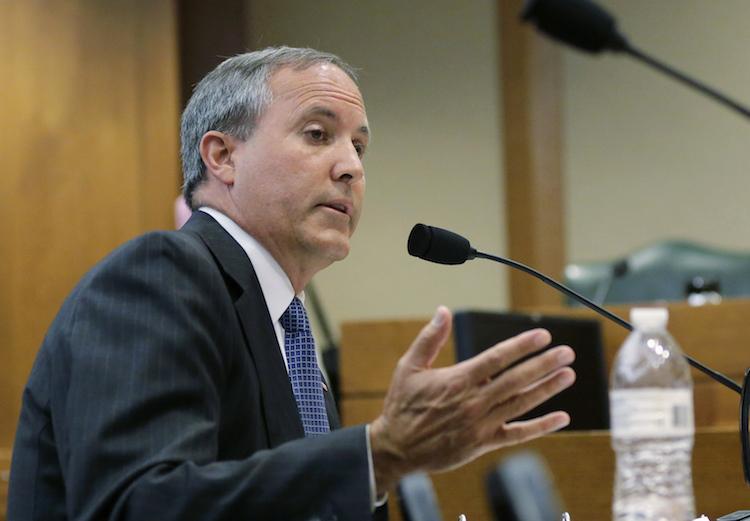 The Briggles set two extra places at the dinner table last week for Attorney General Ken Paxton and his wife. At one end of the table sat Paxton, the state prosecutor responsible for challenging LGBT rights, including bathroom access for transgender students, this summer. At the other end was MG, the Briggles’ transgender son. MC’s mother, Amber, first invited Paxton to the dinner in May during a news conference with Equality Texas. She told The Denton Record-Chronicle that she worries how recent court rulings rolling back transgender rights pose a risk to her son. “I’m concerned that the lawsuit, and all these injunctions, and the legislation that’s coming our way is putting my son in danger,” Amber Briggle said. However, the Briggles didn’t talk politics during their dinner. They shared a hearty, Southern meal, and Paxton even showed young MG, who’s in third grade, a magic trick where he pulled a penny from behind the young boy’s ear. “Honestly, it was a very pleasant evening,” Amber Briggle said.